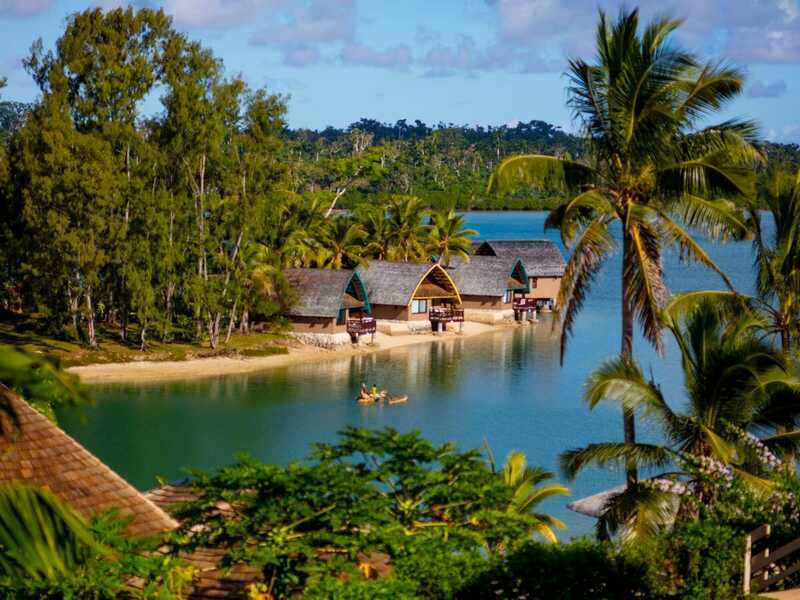 Admire the sparkling waters of the Erakor Lagoon, throw in warm earthy tones plus Vanuatu inspired features and you’ve got an Overwater Villa at Holiday Inn Resort. Does packing make you stressed? With us, it won’t. Enjoy return economy flights and luggage included in the price. Fit everything you need in, our return airfares include 23kg checked luggage. Now, that’s a lot of bikinis and board shorts. Start your days the right way, with a stomach full of sumptuous breakfast foods prepared by the talented Chefs of Verandah Restaurant. Savour the taste as you look out to Erakor Lagoon. 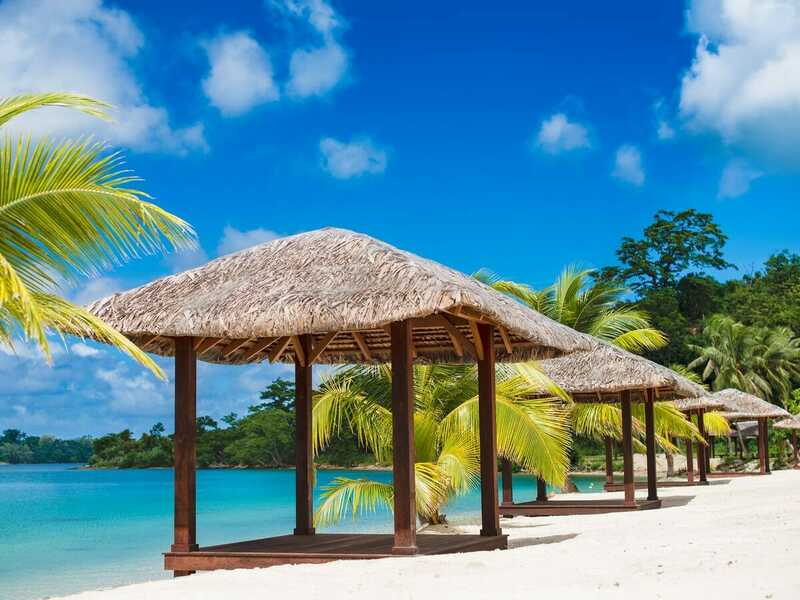 Get more out of your holiday with 10,000 Vatu resort credit. Whether you want to put it toward meals, drinks, services at The Day Spa or anything else at the resort, treat yourself to something extra on us. Get pampered on us. Rejuvenate your mind, body and soul at The Day Spa. Indulge two 30-minute massages during your stay and feel your tension completely melt away. We all get a little thirsty after a flight and there’s nothing that says ‘holiday’ like a refreshing drink on arrival. Making the most of your holiday straight away is easy with a drink in hand, so sip away after checking in. Join the fun and enjoy complimentary usage of the resorts tennis court. You can practice your swing first thing in the morning and serve into the night. 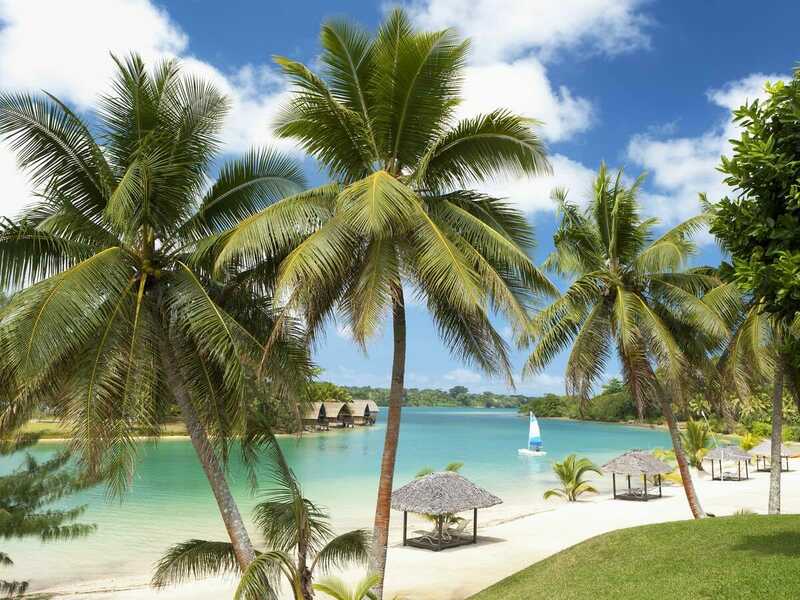 Overlooking the tranquil Erakor Lagoon and featuring its own private island, the Holiday Inn Resort Vanuatu is a true tropical haven to discover. Located a short 10 minute drive from the airport, this resort is sure to soothe the wanderlust within. Enjoy the tranquil surrounds, cocktail in hand from the pool or opt for a more adventurous start to your holiday sailing, kayaking and wind surfing across the turquoise lagoon waters. Explore Vanuatu’s natural wonders by day and, relax under the stars for dinner by night. 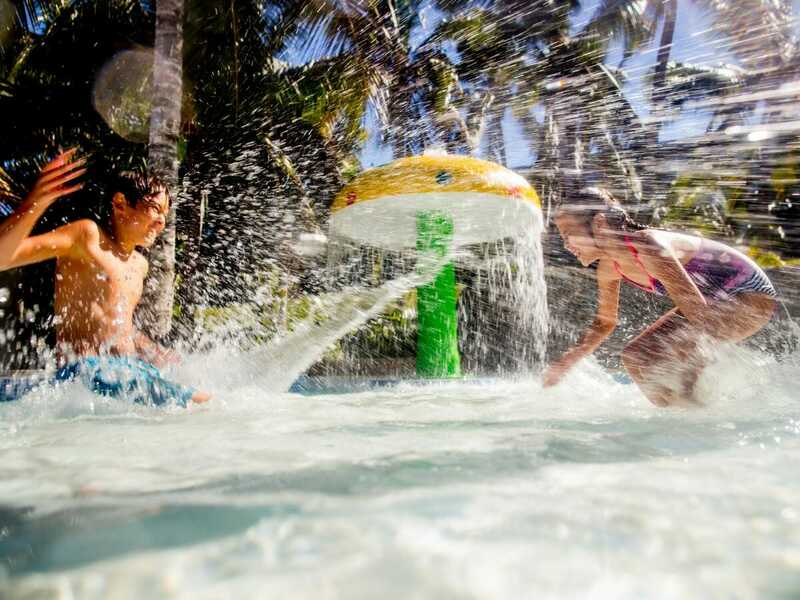 A little slice of paradise awaits at the Holiday Inn Resort. Friends and family at home will be in awe; there is just so many Instagram-worthy moments to capture. 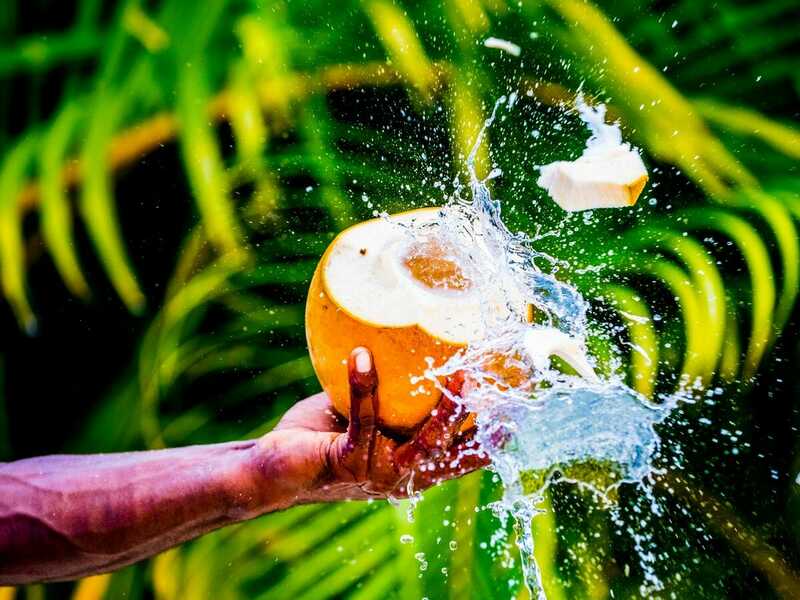 Efate boasts a relaxed island vibe perfect for exploring the rich marine life and coconut spotted beaches. Hideaway island is a must see, only a short 5 minute ride from Port Villa (where the resort is located). Here you’ll dive deep and mail a postcard from the world’s only underwater post office. While the Mele Cascades are a stunning natural wonder with picturesque waterfalls and plunge pools to enjoy. 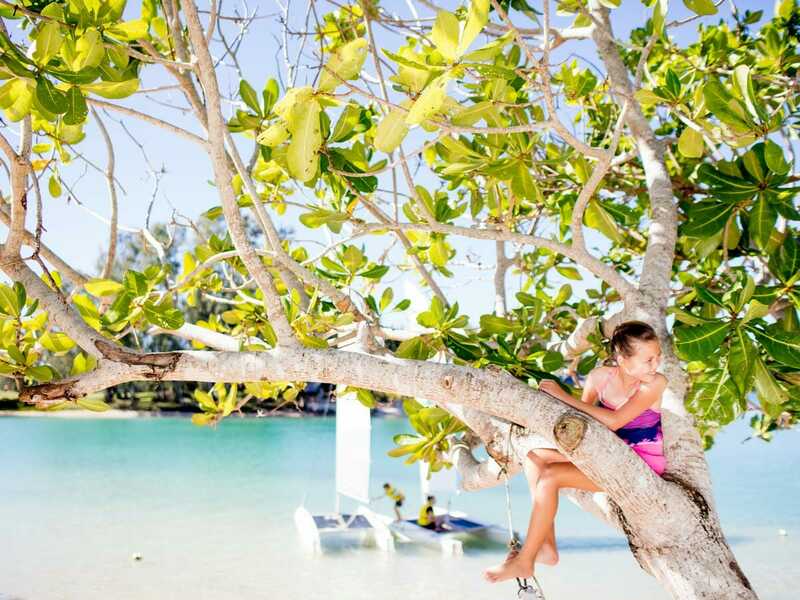 Vanuatu’s smiling culture is all the more reason to explore the abundance of local hotspots, restaurants and bars surrounding the resort.